Xiaomi Redmi 6 and the Redmi 6A will be released first in China next week and later to other regions in coming months. Read to know the key features and price details of the new Android Oreo-powered phones. After a week of teasing, Xiaomi's new budget smartphone Redmi 6 series broke covers in Beijing on June 12. It comes with several upgrades over the predecessor both in terms of design and internal hardware. The new Redmi 6 series comes in two variants—one a standard Redmi 6 and a low-end Redmi 6A. They come with pretty much same design language but differ in three attributes—fingerprint sensor, processor, and camera hardware. Both the Xiaomi phone models come with the metal-clad shell on the back and on the front, it sports a 5.45-inch HD+ (1440x720p) screen with 18:9 display aspect ratio, which offers cinematic viewing experience. Under-the-hood, the Redmi 6 comes packed with MediaTek Helio P22 octa-core processor, Android Oreo-based MIUI 9.5, 3GB/4GB RAM, 32GB/64GB storage, a 12MP+5MP dual camera with Bokeh blur feature, a 5MP front camera with face unlock, fingerprint sensor and a 3,000mAh battery. On the other hand, the Redmi 6A houses MediaTek Helio A22 quad-core processor, Android Oreo-based MIUI 9.5 OS, 2GB RAM, 16GB storage, a 13MP single camera on the back and a 5MP sensor with face unlock and a 3,000mAh. 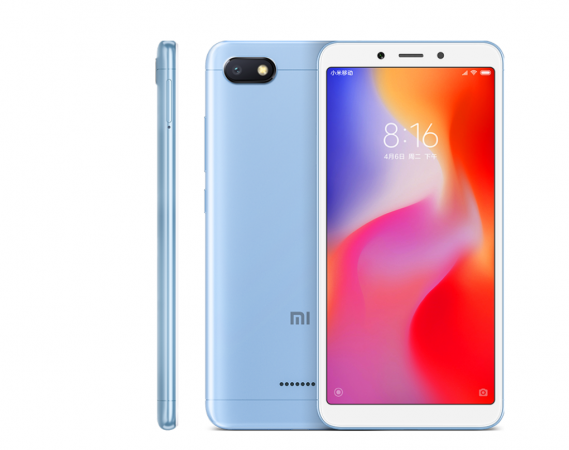 It can be noted that Xiaomi is betting big on face recognition technology in the Redmi 6A, as it has left out the finger scanner. 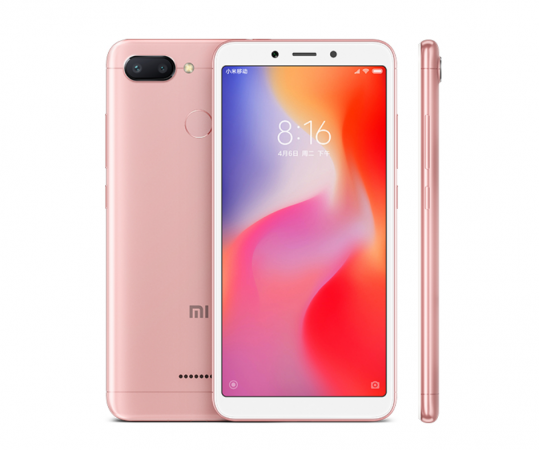 Both the Redmi 6 series models come with Artificial Intelligence (AI)-powered smart camera applications to offer Bokeh blur effect, face mask, age detection, editing tools including Beautify for front snapper offering options to adjust skin tone, erase scar and make the users' face appealing and worthy to be posted on social media platforms such as Facebook and Instagram, among others. Xiaomi Redmi 6 comes in two models—3GB RAM+ 32GB storage and 4GB RAM+64GB storage—for ¥799 (roughly: $125/€106/Rs8,409) and ¥999 (roughly: $156/€132/Rs 10,515), respectively. Whereas the Redmi 6A comes in one configuration—2GB RAM+16GB storage—for ¥599 (approx. $94/€79/Rs 6,304). Both the models are slated to go on sale in China from June 15 onward and will be available in four colour options—Blue, Gold, Grey and Rose Gold. Will Redmi 6 series come to India? Absolutely yes! Xiaomi, like previous times, will give at least a month's time gap between China and India release of a product. Also, the recently released Redmi Y2 falls under the same price range of the Redmi 6. It would be unwise for Xiaomi to roll-out the latter and risk cannibalizing the former's sale. So, Xiaomi India is expected to release the low-end model Redmi 6A first, most probably in July and then a month later, the time will be ripe for top-end Redmi 6 to make its debut in India. Stay tuned. Follow us @IBTimesIN_Tech on Twitter and on Google News for latest updates on Xiaomi.